The first thing most people will ask you after exchanging names is “what do you do?” In most cases, it’s a way of sizing you up, which is especially true with men, including me at times. Furthermore, when we talk about others, we typically are quick to point out what they do professionally, or what they’ve accomplished. As for me, my identity is much more than what I do or have done as an entrepreneur. Early in my entrepreneurial career, it was common for me to work 12-16 hours per day. I thought that working long hours to the point of exhaustion demonstrated that I was a “man.” I was wrong. 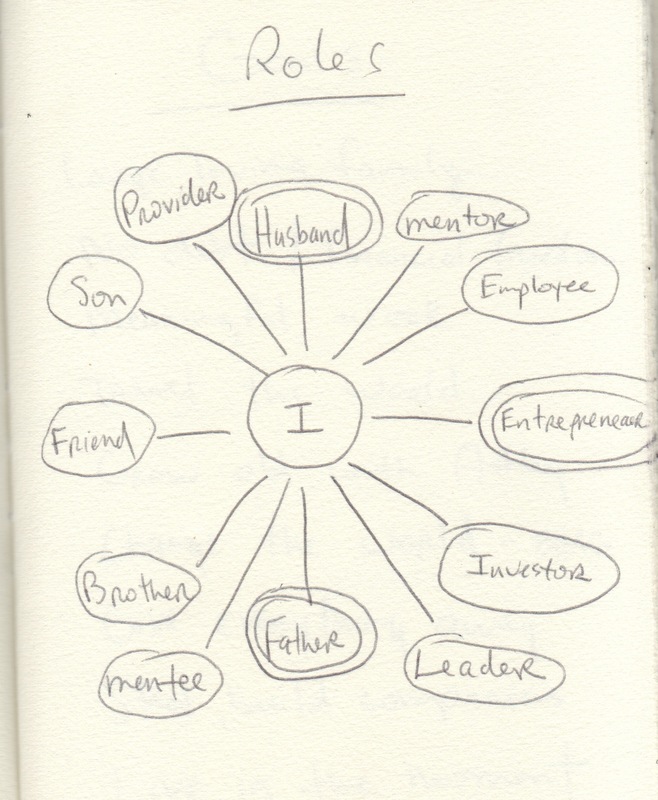 Last year, Mike Van Hoozer shared with me a simple way of deciphering between one’s identity and roles (see pic.) This simple exercise was very helpful, because it allowed me to visually see that who I am, isn’t defined by what I do. I circled twice what’s most important to me, and where failure isn’t an option. It helps to have a partner to share the results of this exercise with, because everyone needs support, encouragement, and accountability. My first challenge to you is to do this simple exercise, circle what’s most important to you, and then start taking the steps towards positive change. The second challenge is the next time someone asks you what you do, make something up. If you can’t think of anything, tell them you work for A&B Elevator, and you’re a shaft inspector. Morale of the story…don’t be defined by your job, be defined by your character. Hey!!! Thats the same line you used on me! Integrity and character are values that provide more wealth than a paycheck. At the end of the day they are all we have and what defines us.